How Long Will The Landice L7 Pro Sports Trainer Last? Even without the warranty, the L7 Pro Sports Trainer has a strong build that is likely to hold up well to many years of consistent use. For a serious runner who enjoys the daily workout, this treadmill is likely to be worth the money. Just be sure to save the cash on the screen. We talk a lot about style, substance, and the balance between the two mainly because we like to see machines with an equal level of utility and luxury features like web accessibility or built-in workouts. 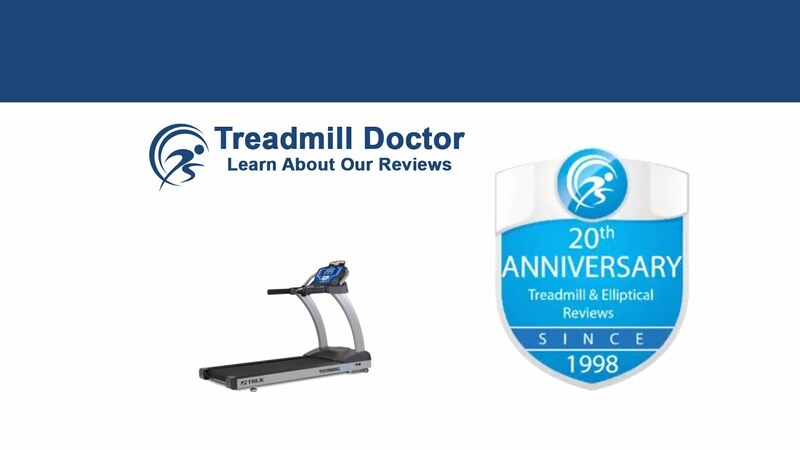 Treadmills that have a balance typically provide a better experience. Unfortunately, the Landice L7 Pro Sports Trainer is another machine that does not have this balance. Even still, the L7 Pro Sports Trainer makes up for the imbalance with a warranty that outshines nearly all other treadmill warranties. Accordingly, we have placed the L7 Pro Sports Trainer in the Runner-Up slot among our $4,000 to $5,999-dollar 2019 Best Buys. With that said, we simply cannot belittle the value that lies within the L7 Pro Sports Trainer’s warranty. Landice has built all their home fitness products with a lifetime warranty on all parts including the wear items*. It is important to think of the warranty as dollar signs that are basically added to the treadmill on top of the value that is built into it. Thus, the L7 Pro Sports Trainer comes equipped with one of the best warranties in the treadmill market. What the L7 Pro Sports Trainer lacks in programming, it surely makes up for with the warranty. If you are not too concerned with nice programs or if you can just put your treadmill in front of a TV somewhere, then you will likely enjoy many years of solid performance from the L7 Pro Sports Trainer. Warranty Lifetime parts and 1 year labor warranty as long as it is dealer-installed within a 60-mile driving radius of the selling dealerÃ¢Â?Â?s nearest retail store and registered within 30 days of purchase to a residential setting.Ã?Â Executive touch-screen console and USB port are warrantied for defects in material and workmanship for 5 years. The Landice warranty is only valid for the original owner. Landice’s lifetime parts warranty specifies that “executive touch-screen control panel, headphone cables, and USB Port are warranted for defects in material and workmanship for a 5-year period”. In previous reviews, we have remarked that the Landice L7 Pro Sports Trainer is a good quality treadmill for home use. Also, we have said the Landice’s home warranty has only been beaten by two other treadmills when we look at the market as a whole. This speaks highly of Landice and their ability to stand behind their products. While we are displeased with Landice’s inability to provided updated programming, the L7 Pro Sports Trainer is equipped with a notable warranty that adds a considerable amount of value. With this, we have awarded the L7 Pro Sports Trainer Runner-Up in our 2019 Best Buy race among the $4,000 to $5,999-dollar treadmills. The L7 Pro Sports Trainer is likely to be well-suited for a serious runner who is looking for a long-lasting, simple treadmill.